These tutorials describe concepts of RESTful services and how to use them in Java using JAX-RS, the Java API for RESTful Web Services. Usage scenarios of @ApplicationPath, @Path, @PathParam annotations. Concepts on designing RESTful API. @QueryParam annotation examples. Differentiating on deciding when to use uri path and when to use query params. This example shows how to use Jersey Test Framework to test RESTful application without running an application server. Using regular expression in @Path URI variable. This example demonstrates how to handle rest service request containing more than one variable parts. This example demonstrates how to send custom response code using Response object. This example demonstrates how to use standard JAX-RS client API to query a RESTful service. Restricting/customizing the media types on resources using annotations. This tutorial shows how to convert Java objects to XML using JAXB in a JAX-RS application and return XML response. This tutorial shows how to convert Java objects to JSON in a JAX-RS application and return JSON response. Using GenericEntity to avoid runtime type erasure of generics. Introduction to JAX-RS annotations to handle different HTTP request methods. How to handle HTTP post request using @POST annotation in JAX-RS application? This example uses JAX-RS Client API to submit a post request. This example shows how to handle POST request in JAX-RS sent from an HTML Form. How to handle HTTP put request using @PUT annotation in JAX-RS application? Using @HEAD annotation on resource method to specify HTTP head verb. Using @DELETE annotation on resource method to delete a specified resource. Using @OPTIONS annotation on resource method to return list of supported HTTP verbs. What is WADL and how JAX-RS supports it? JAX-RS Request/Response Headers - @HeaderParam, HttpHeaders, ResponseBuilder.header() and Client's Invocation.Builder().header() examples. Using a default value for PathParam, QueryParam, MatrixParam, CookieParam, FormParam, and HeaderParam. Understanding default lifecycle of a resource class. Using singleton resources. What parameters can be used in a resource class constructor? Using JAX-RS annotations on field/property level in resource classes. What is Annotation Inheritance in JAX-RS? What are JAX-RS providers and how to extend application using them? Creating a custom entity provider for YAML to Java object conversion and vice-versa. How to access a ContextResolver in another @Provider Class. What is exception mapping in JAX-RS? How to write ExceptionMapping? Understanding JAX-RS filters with a quick example? Using DynamicFeature to register Filters programmatically. Understanding JAX-RS interceptors with a quick example? 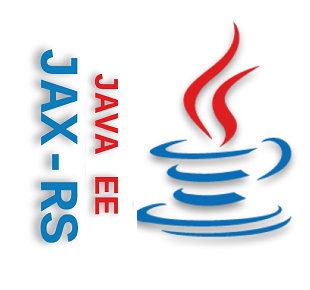 How to validate JAX-RS resources per Java Bean validation specification. Using JAX-RS ExceptionMapper to return custom validation errors. Custom Entity parameter validation example. How to handle request asynchronously in JAX-RS? Specifying a timeout for an asynchronous process. Example of '@Context Application' injection. Example of '@Context UriInfo' injection. Example of '@Context HttpHeaders' injection. Example of '@Context Request' injection. Example of '@Context Configuration' injection. Example of '@Context ResourceContext' injection. Example of '@Context Providers' injection.